A precious memory from the beginning of our journey. The anesthesiologist let us know, in subtle ways, that he didn’t really appreciate having this emergency procedure to squeeze in amongst all the other operations scheduled for the day. He seemed a little impatient, a little harried, and just a little unsettled that we parents were still standing by Andrew’s gurney. Of course, at this point in the journey, we didn’t have a clue where we should be standing. 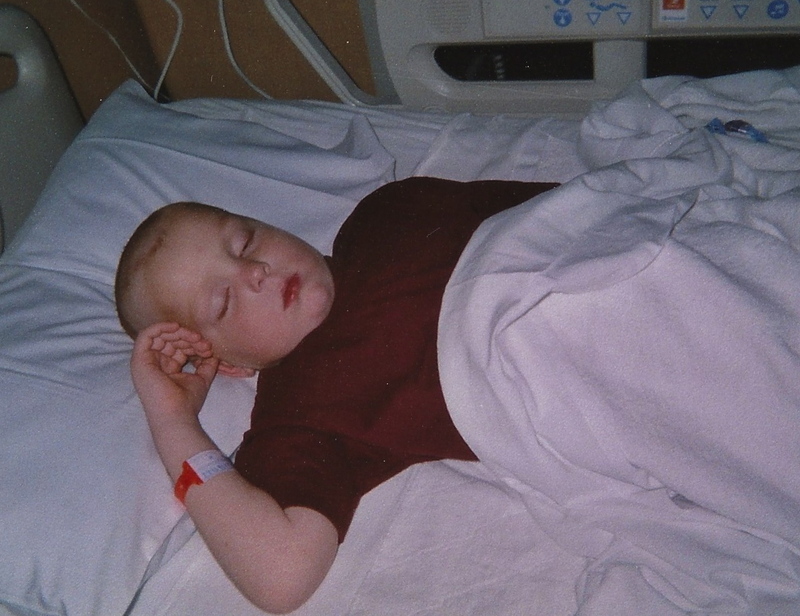 We’d stood outside the chemo room while Andrew was given his first dose of cell-killing poison. We’d been outside the treatment room while they drilled for marrow and poked a giant hole in his spine to see if the cancer was there, and we’d been standing at the bedside through discussions and procedures we hadn’t even known existed. This time we were standing beside the gurney, awaiting the installation of Andrew’s port in his chest. The anesthesiologist bustled around, doing his thing in readying Andrew for his operation. He informed us that we could stay until Andrew went to sleep. Yeah, we thought so, too. Andrew sighed dramatically and slowly, and then a little more loudly, sang the second line of the song, “Sing hallelujah to the Lord!” Then he drifted off to sleep. We knew no matter the outcome of the operation, Andrew was going to all right. I’m linking up with Tell His Story–if you’d like to know how to join, click the icon.